Motorola Moto E phone restarts after pressing power button to lock and unlock the phone.. How to fix this? Motorola Moto E Dual SIM Android smartphone is one of the most sold mobile phones in India. Unfortunately this phone has a reebooting issue...ie after pressing power button to lock and unlock the phone, it reeboots. At first this happens rarely, later on the frequency of this issue increases and finally it becomes inconvenient for users. - Keep your phone on safe mode and then see whether rebooting is happening or not. - to bring mobile to Motorola support service center , they may refresh OS or replace the PCB..
After doing all this the rebooting issue still exist. Before trying all this , it would be better to sync you phone with your google account , so that the data especially contacts in your phone can saved to you gmail account and later to retrieve it. After doing this most of the people had found that the frequency of restart has significantly reduced. 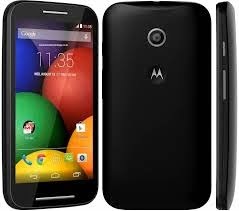 But still we recommend you to visit nearest Motorola service center and replace the PCB of your Mobile as there is a board complaint in the Moto E series. If you are in the warranty period of One year , they you will get it replace with out any cost. Since lots of customers are complaining about this issue, motorola is replace the current PSB's with the rectified series. How to Locate your nearest Motorola service centre ? You can find "Locate your service center"
Please enter your postal code and they will show you the Service Centres nearest that location. Work hours : Every Day 7 a.m. to 11 p.m.
Read How to clear cache partition on Motorola mobile. To know more about Motorola Moto Series, Click here.